Related Article: What Are PCH Token Games and How Do I Sign Up? You can win PCH tokens by playing Facebook games list. Look for PCH Facebook games and play these games regularly. Your tokens will quickly add up as you play the games and send invites to your friends. The SuperFan Scratch Cards available on Facebook Games are one of the best ways to win tokens. You can win tokens without even playing any games by using the PCH Search & Win feature. This is basically a search engine that rewards you with tokens for your first search of the day or when you use it on your birthday or on PCH’s anniversary. The tokens you earn can be redeemed at pch.com/redeem, PCH Redemption Center is the PCH website to enter pch.com sweepstakes to win a number of prizes, including gift cards, electronics and appliances. As I write, I just checked what Publishers Clearing House had to offer on their Token Exchange site: Canon DSLR Camera, a Mophie Mini Powerstation, a Michael Kors Jet Set Travel Small Tote, a brand new Laptop and many Gift Certificate Cards from some of the most popular American Retail Stores. With Christmas Holiday Shopping already started, winning one of these Shopping Gift Cards would come in handy! 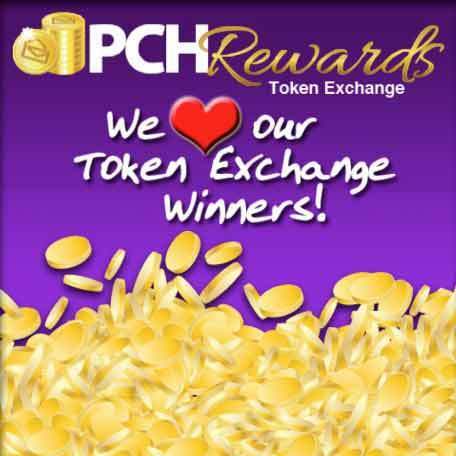 You should visit pch.com/redeem the Token Exchange page on the official PCH website to get a better idea of what you can win and see when the next giveaway will take place so that you can work on earning some tokens. And Remember to be more active on PCH website to earn more Tokens that can be redeemed for more chances to win any PRIZE of your choice from PCH Redemption Center Website: pch.com/redeem. Clint Henderson march 13 2018 i Claim entry for search 3 to win gift cards towards vacation getaways. Yes Please Deborah Holland and Prize Patrol Elite Team , please Activate All my Number’s I have Entered ,I would love to WIN A Life Changing Prize. Thank you. With Love DP in Tx Happy holidays. After I exchange tokens, how do I know if I won? Will you contact directly? At times you have different items you can spend a certain amount of tokens for a chance to win that prize (gift cards, mixers, etc). How do I do that on a regular basis? I have lots of tokens. 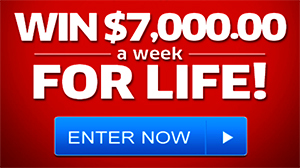 I am ready to redeem the token exchange of GWY#6900 for 7000 a week for life; # 6085 for $50,000 and # 6086. Valuable post – I learned a lot from the analysis . Does someone know if my assistant can locate a sample IRS 1023 document to fill in ? ALert to the neighborhood WPA W71! Wow! Thank you Desire and Joseph Nsoah…. beautifully said. I concur as well as handle tokens as said. I also wish to thank PCH FOR THIS OPPORTUNITY. I request my lie time pre-posts to secure and claim to such a prize! If not for PCH, you wouldn’t be chosen such a way to change lives. Thank you all. Truly!! Ladies and Gents, I look forward to being winners with you. 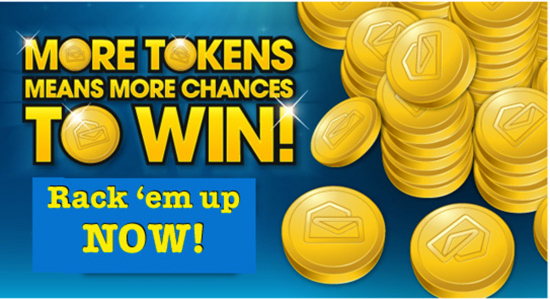 YES PCH.COM /TOKENS EXCHANGES /REDEEM TO WIN PCH GAMES, PCH 1830 GWY 4900, PCH GAMES, I WANT TO REDEEM MY TOKENS TO WIN CASH FROM GWY 4900, $10,000.00 A MONTH FOR LIFE PLUS ALL OTHER ELIGIBLE PRIZE NUMBERS AT THE EARLY SPECIAL SELECTION LOOK EVENT ON 30th,December INCLUDING MY TOKENS AND LOYALTY BENEFITS AND VIP PRESIDENTIAL CLUB REWARDS AND BONUSES AND LET THE PRIZE PATROL TO HAND DELIVER TO ME PERSONALLY WITH BALLOONS AND CHAMPAIGN AND ROSES AT MY LOCAL TV.AREA FRONT DOOR WITH PCH CAMERA’S ROLLING, .THANKS FOR YOUR HELP! GOD BLESSING GUYS IF I SEE THE REAL ONE I WILL SO HAPPY AND THRILLED TO SEE EVERYONE TO STOP BY AT MY HOUSE! HAVING A JOYFUL AND GET MY HUGE SMILE ON MY FACE!!!!!! If you dont’t suceed try try again. Very little luck trying to type a comment . WOW. My computer skills are lacking.